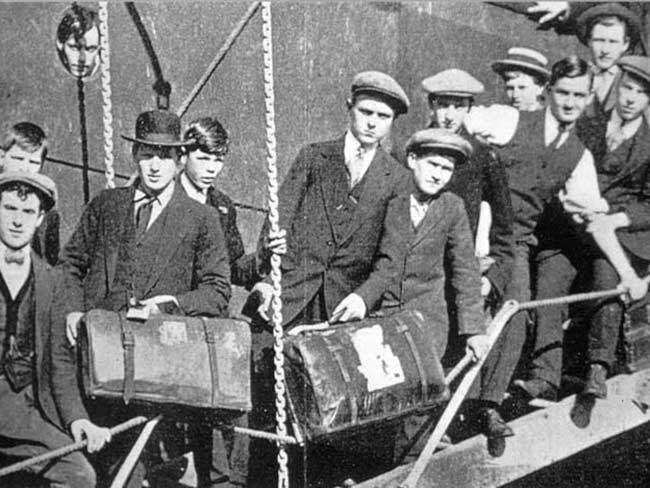 “Some 38,000 Irish passed through Toronto in 1847. Toronto then, was a city of only 20,000 people. 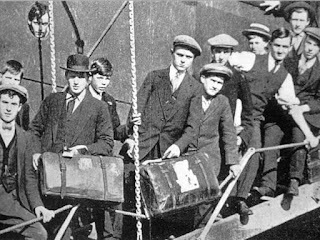 [We do well to remember] that in 1847, there were enough, just enough Canadians who rose above the frank, blatant, decades-long discrimination of the day, and gave those immigrants a chance to become Canadians themselves.” It is hard for us to comprehend this, but in 1847, the Irish were viewed much like Muslims in our day. People were suspicious and scared of them and did not want them in their country. When we read the Bible with God’s wisdom, when we read it as story that reveals God, rather than a rule book, we develop a relationship with the God of the Bible. It is not easy to read our Bibles like this. It is much easier to try to turn our Bible’s into rule books; but God calls us to something greater. We need constantly to read the Bible seeking to understand the heart of God. We need daily to ask God to be our wisdom as we read his word. Thou in me dwelling, and I with Thee one." Science News is asking questions about animal intelligence in an article about otters and tool use in a March 21, 2017 article. 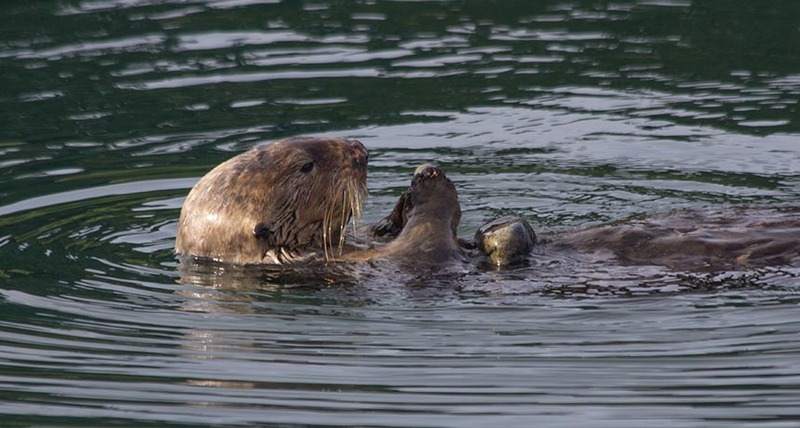 The article entitled, “Tool use in sea otters doesn't run in the family,” suggests that using rocks to crack open snails and other shells to get at the rich food inside, may truly be a learned behavior that each generation must discover. Those who read this blog regularly will know that I am fascinated with the intelligence of animals. (You can read a quick summary here and find links to other articles on this subject in the same place.) Most of the writing and reading I have done on this subject has emphasized the learned aspect of such behaviour. There is a great deal of evidence to suggest that crows teach other crows the techniques related to breaking open mussel shells and staying away from strangers. So, it is not surprising that researchers are having a difficult time finding the gene responsible for tool use in otters. However, I would caution us that just because a gene carrying this propensity has not been found, does not mean that the gene does not exist. 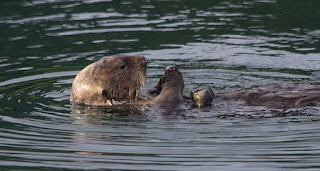 The author of the paper even admits this when she suggests that “sea otters may all be predisposed to using tools because their ancestors probably lived off mollusks, which required cracking open.” Could it be that all otters carry the gene for tool use and only use it when necessary? 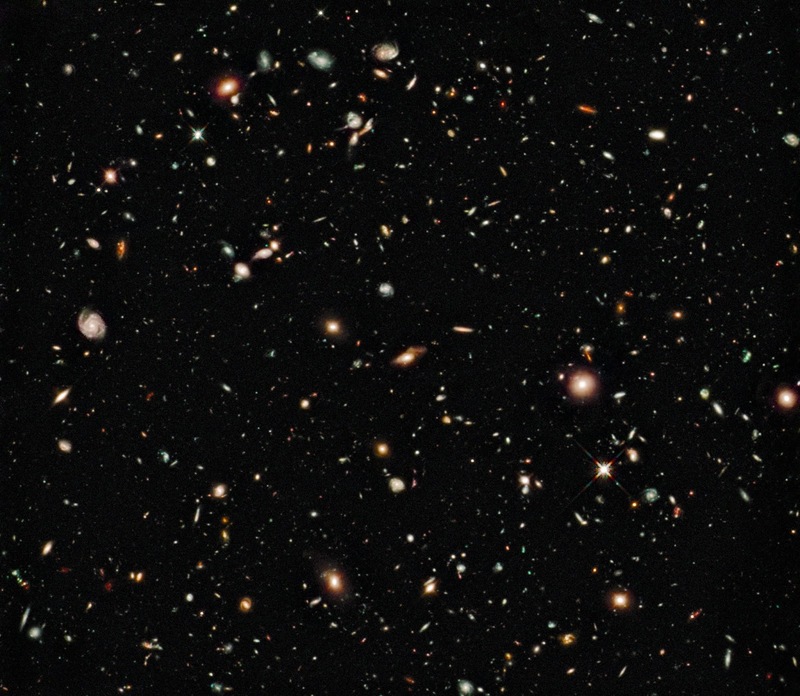 Theorists and observational astronomers alike have a problem: they can’t find Dark Matter! Einstein and others before and since have postulated that there is something out there that we can’t see. Theoretically, Dark Matter is just that, matter in the universe which is dark because it does not interact with electro-magnetic waves. Also, by definition, it interacts with gravity and constitutes more than 80% of the mass of the universe. 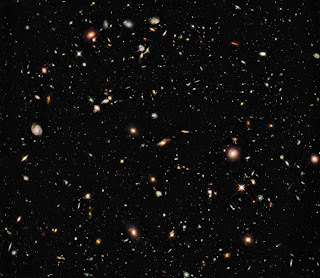 One might readily ask, how do we know that Dark Matter is out there? When mathematicians, theorists, and astronomers do the math, and here I am referring to massive calculations that start with principles and assumptions and end with a reasonable proof of how the universe might function, they find that there is not enough mass in the universe to account for the ways in which gravity is affected. Therefore, they introduce a material, an “X,” that must exist but cannot be seen to account for this. We call this “X,” Dark Matter. True, it is not a very satisfying way to arrive at the existence of something. Many experiments have been done, or are in progress, to see if Dark Matter can be physically proven to exist. So far, every one of these experiments has been negative or inconclusive. One answer, that is slowly being accepted by more and more of the research community, is that perhaps Dark Matter does not exist and we should simply stop looking for the material. The problem with this is that one must find some other way to account for “X.” If Dark Matter does not exist, how do we explain the gravitational effects on the regular matter of the universe? We await more experiments, more calculations, and more definitive studies to elucidate the nature of “X.” Is it indeed Dark Matter? Is it something else? Many will continue to work on the question, for certainly there is a Nobel prize waiting at the end of the search. The International Space Station (ISS) flew over my home a few minutes ago. When you know where to look it is easy to pick out of a clear sky one or two hours before sunrise or one or two hours after sunset. 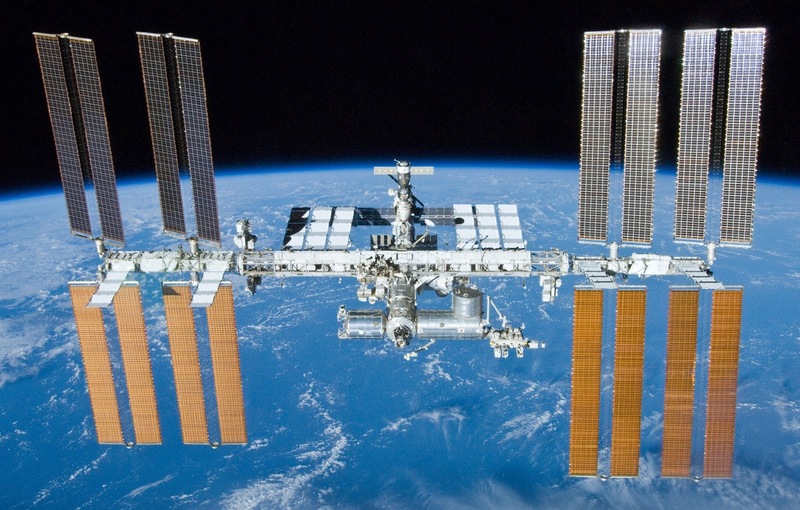 The ISS circumnavigates our planet in approximately 90 minutes and appears from earth as a fast-moving light traveling from a westerly direction to an easterly direction. Today, at 5:39 am, it was very close to the centre of the sky, halfway between north and south. An app such as Sky Guide helps me keep track of ISS flyovers and the location of planets in the night sky. You can also go to the ISS Astroviewer to get an image of the present location of the ISS. It is fascinating to think of the six astronauts racing overhead at 7.66 km/sec. Presently, the crew consists of three Russians (Roscosmos), two Americans (NASA), and one French (ESA); under the command of Robert Shane Kimbrough (NASA). This crew represents Expedition 50 and has been assigned to study several human biomedical research questions. 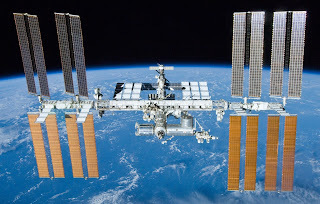 NASA states that the purpose of this mission is to “investigate how lighting can change the overall health and well-being of crew members, how microgravity can affect the genetic properties of space-grown plants, and how microgravity impacts tissue regeneration in humans.”. The crew are the test-subjects in their research work. As the present mission nears completion, the crew have been in space for 120 to 150 days and a crew change is scheduled to occur in early May, 2017.